Home / Food / Yopokki / Yummy Yopokki! Watching Korean TV shows and movies made me a bit familiar with their culture, particularly food. And with Channel M’s Masterchef Korea 3 currently playing, I can’t help but try some of the cuisine featured if it’s available in the Philippines. One of such includes topokki or more popularly called tteokbokki, a spicy rice cake snack. 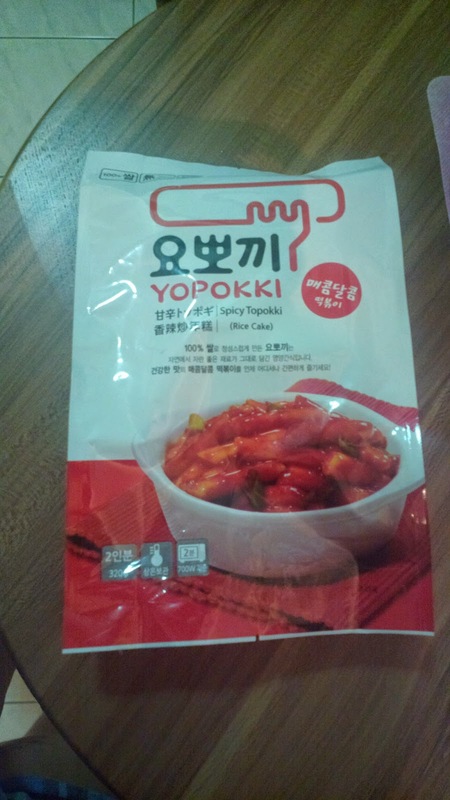 Thanks to great supermarket finds at SM hypermarket’s international products section, I came across yopokki (one last stock at that time, meant to be!) and immediately got one to give it a try. Cooking it is easy; simply boil 200 mL of water and add the item along with its spices. The finished product must be consumed while it’s still hot. Once cold, the topokki becomes solid rock hard. What it tastes like can be comparable to our local rice delicacies but only spicy. The sauce is similar to that of Hunt’s Pork and Beans but again, spicy. I enjoyed every spicy stick. If you love it spicy as well, spice up your snack with yummy yopokki!